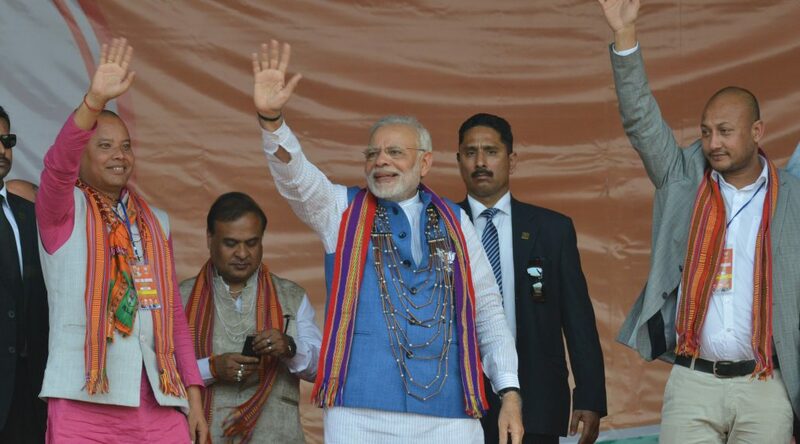 File photo of Prime Minister Narendra Modi during his election campaign at Phulbari in Meghalaya. Prime Minister Narendra Modi will interact with IT professionals of Meghalaya along with IT professionals from across the country on Wednesday. The interactive event will be held through video conferencing at the NIC Meghalaya Conference Hall, Shillong at 3:40 PM. The focus of the event is on volunteering efforts and initiatives taken by IT Corporate and IT professionals in the social sector. The Prime Minister will address a gathering of about two thousand professionals. The event would also be live streamed to participants from the IT companies across the country through NIC webcast at pmindiawebcast.nic.in.